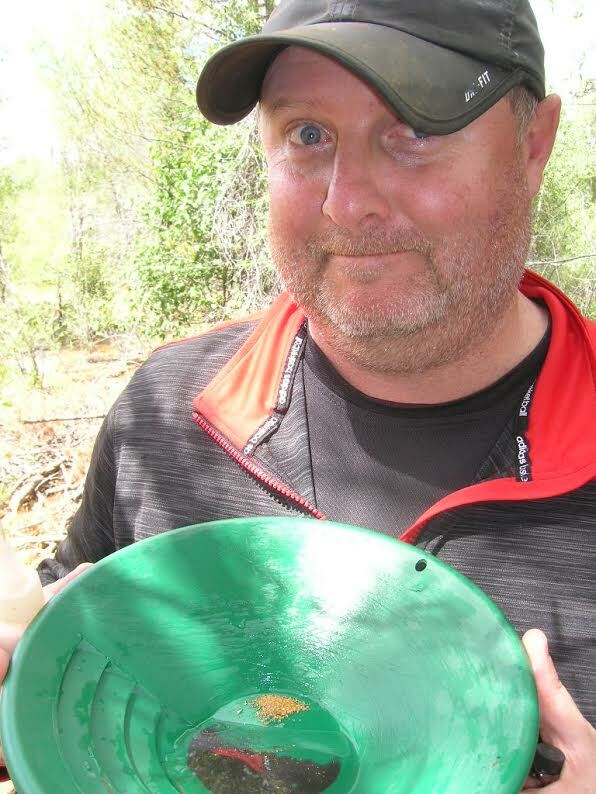 It is only two weeks until the gold prospecting trip to New Mexico and Arizona. The final destination is the GPAA outing in Stanton Arizona where we will spend three days on the hunt for some gold. On the way to Stanton we have a stop-over planned in New Mexico at a claim outside Ancho. The GPAA claim there is called Against The Wind and is 160 acres in size. We only have about 6 hours to spend at the claim as it is just a stop to help break up the drive to Arizona. There is not much information available on the Ancho site. I have scoured the internet trying to find any accounts of prospectors who have visited the claim, but there is near nothing. The GPAA Mining Guide states" color through top soil to the red gravel. I plan on using my metal detector to hunt for some nuggets and survey the site a bit. After a bit of "recon" I'll pick a spot and do a few test pans looking for color. When I find some color I'll grab a few of our five gallon buckets and fillem up with some paydirt to bring home to pan at a later date. Once we head out from Ancho it is off to Stanton. The GPAA event lasts three days in the shadow of the famous Rich Hill. I'll be participating in the morning community digs for sure. I understand the actual gold from the 3 days of community digging will be small, but I'll enjoy working and talking with other prospectors from around the country. Whatever gold I get in the end will be gravy in my opinion. After the community dig I will still have the afternoons to prospect on my own with my metal detector. Maybe I'll get lucky and track down a nugget or two! I also plan to talk to some of the "old timers" and get some advice on where the flake gold can be found. I have plenty of five gallon buckets ready to be filled with some good dirt for later on. Watch TexanTreks for reports in January. I'll do an Ancho Against the Wind report as well as a couple of Stanton reports. A Stanton report on the community dig and of course a Stanton report on my hunts with my trusty metal detector. Update... A snowstorm in the mountains turned us away from Ancho and farther south to the GPAA sites outside Sierra Vista, Ariz. That story is up onsite. Take a look.